Founded in 1968, by Captain Latham Smith. When he constructed his first oceangoing tug, the Elsbeth along the Miami River. Captain Smith would go on to establish a shipyard along the St. John’s River in Green Cove Springs, Florida. Where three additions tugs where constructed. The Elsbeth II in 1987, the Elsbeth III in 1998, and the Rhea in 2002. In 2006, the company acquired the Dixie Diver. 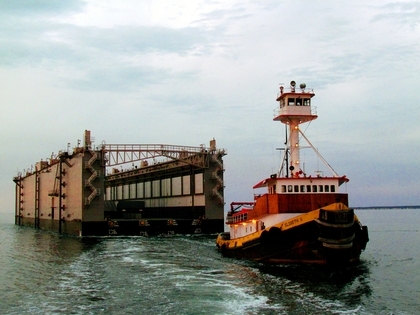 A 300(ton) derrick barge that was refitted, and rebuilt at the company's Morgan City, Louisiana location. In 2009, Captain Smith added the semi-submersible barge, the Elvis. And, in 2012, the company added a heavy-lift, deck barge, the Marilyn Monroe. Both were rebuilt after they were acquired by the company.